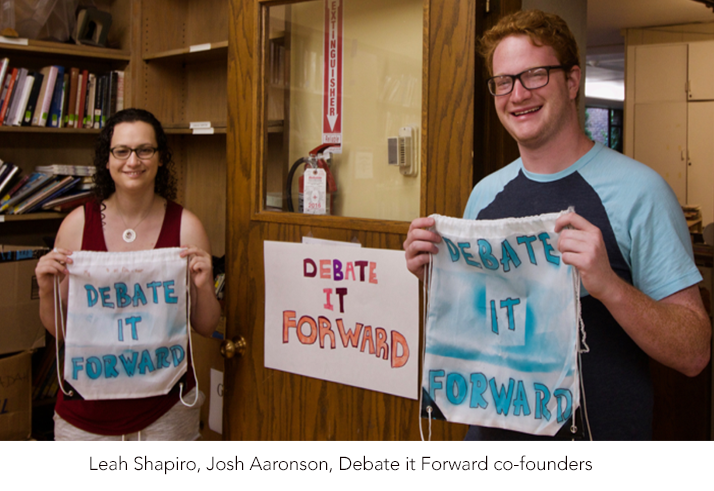 Summary of start-up idea: Debate it Forward leverages the power of debate to improve cognitive abilities and social-emotional growth in students typically overlooked by the national debate circuit: young students, students with learning differences, and of low income. Josh and Leah are currently students at the University of Chicago—Josh is a junior and Leah is a senior. In addition, they run Debate it Forward (DIF) full-time and plan to pursue a career with DIF after graduating. Leah successfully competed in debate for seven years, ranking third nationally her senior year in high school. But despite her achievements, she says she wasn’t a fan of the competitions. “I found them to be highly stressful, and most of the education happened prior to the tournaments,” she says. 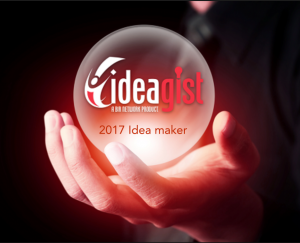 “Fast forward to 2016. I was with my two little cousins in the car,” she explains. “The youngest, six years old, was throwing a tantrum in the backseat. The only thing I could think of to distract him with was debate. “I said to him, “We’re going to play a game. I’m going to say something and you need to prove me wrong! He was instantly captivated and we played debate for more than an hour.